This gyro-stabilized electric unicycle is compact and fun to ride and is intended to be used as you would use an electric bicycle. 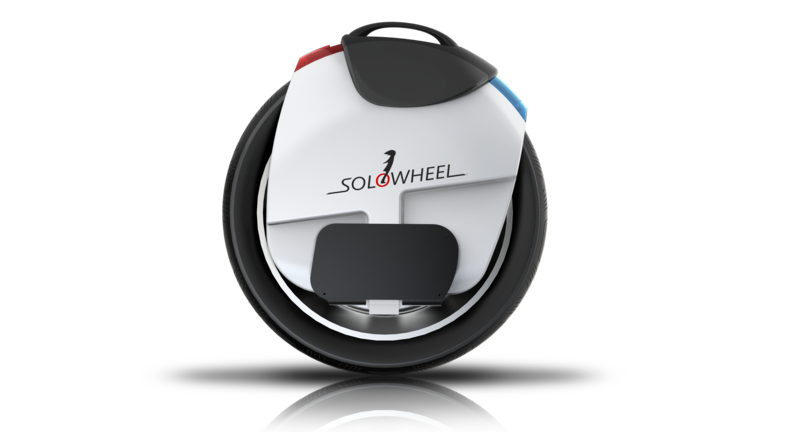 SOLOWHEEL – Your commute will never be the same! With a 1,500 Watt motor and a rechargeable battery, the SOLOWHEEL is the smallest, greenest, most convenient "People Mover" ever invented. This gyro-stabilized electric unicycle is compact, easy to learn, and fun to ride. The SOLOWHEEL is lightweight and portable, with a built-in handle and fold-up pedals, making it easy to carry and store. With a maximum speed of 10 MPH and a range of up to 10 miles, the SOLOWHEEL is the perfect choice for errands and short commutes. Looking for something similar, but without the motor? Check out the Lunicycle! 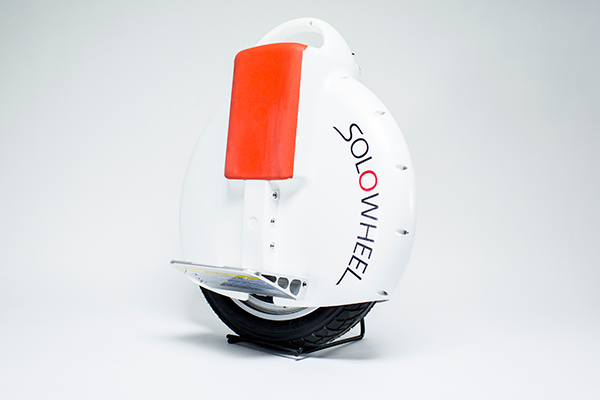 Inspired by the way a skater moves across the ice, I invented SOLOWHEEL using a low-to-the-ground, stable platform which allows the lower body and feet to steer and balance while riding over a variety of different surfaces. 1,500 Watt motor and a rechargeable battery. Built-in handle and fold-up pedals. Maximum speed of 10 MPH. Range of up to 10 miles. Introducing our newest product: The Hoverwheel Check out our Kickstarter campaign here What is the Hoverwheel ? The Hoverwheel is an electrically motorized, self-balancing wheel that fits directly under your foot. That’s it! Everything you need for an e-vehicle – sensors, processor, battery, motor and wheel – is contained in one compact and neat module. If you’ve been following us for a while, you know that Inventist’s owner, Shane Chen, is a prolific inventor. He came up with the idea of separating the two halves of his Hovertrax (the original hoverboard) in order to make an e-vehicle that would be better suited to riding outdoors (which the hoverboard was never meant to do). It’s a concept that’s truly useful in its ability to move you from Point A to Point B in a fun and inventive way. For more info on the Hoverwheel , including how the invention came to be, click the Kickstarter link now! Inventist Turns 15 Years Old! July is our birthday month! To celebrate our 15th anniversary, we’re offering free shipping in our store all month long on products currently in stock. Since we started designing, manufacturing and then selling products from the imagination of our owner, Shane Chen, Inventist has always strived to present fun and unique products to the public. The AquaSkipper, one of our first inventions to hit the market, certainly measures up to our goals! We hope to introduce the new model of the AquaSkipper later this summer. Over the years we’ve brought you other unique products, like the Hovertrax, Orbitwheels, Solowheel, and Lunicycle. We’re following these up with our new product in the field of rideable tech: the IOTAtrax. But there will be more! Shane is always thinking of new ideas, so be sure to check back with us often to see what’s new. Thank you to all our customers, dealers and followers over the last 15 years. It’s been an interesting ride and we can’t wait to take it into the future. © Copyright 2019 - Inventist, Inc.